For game kickstarters, maybe Steam could also become a pay option, like Amazon is. Would be nice to see Steam participate in something like that. 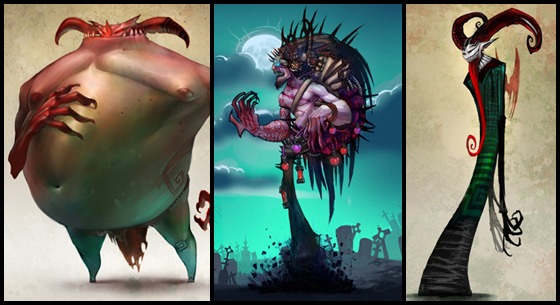 ''Nekro is an overhead, randomly generated action game about summoning evil forces of darkness to do your bidding! Who are these guys you ask? Looks quite fun, but my wallet and I are no longer on speaking terms. But I do like the 'Nekro' game idea. Hope they can make it. Looks interesting but could be hard to pull off. Well, at least they've got stuff done already. That always makes me feel better. Of course some big games like Infinity Blade recouped their investment but if you told me you plan on making a game that costs over 500k for a platform whose games usually sell for 99 cents, I'd call you crazy. The budget is actually a million. Other investors said they will meet them half way if the Kickstarter is successful. This game is something that I just need to wait for and see what people say about it. I'm not optimistic when developers try to make a game that is more "engaged" experience on the iOS. I can only see myself play this on the iPad. Hopefully they will pull it off. Yogventures is going to be an open world sandbox game designed first and foremost as a multiplayer experience. The game will allow you to create and shape worlds, then easily share them and play with friends! Kewl, even if the setting makes me yawn anymore. This guy really has no idea how bad this is going to fail. He learn new stuffs super lightning fast, He is at least 10 times faster than most programmers/developers. Published 50+ iOS applications on iTune store in a year and half. generated 10,000,000 page view a month. few of our apps were listed on top 25 on the chart. A couple of apps have hit 5 millions downloads and still counting. Wasn't there some group that Apple busted a year or two back that was basically cloning a ton of stuff on the App Store? For some reason claiming 50+ iOS apps in 18 months reminded me of that. 50 iOS apps doesn't exactly inspire confidence in making a full 3D video game. That guy has actually gathered $180 in pledges. Either that's friends and family, or some people just aren't. too. bright. I realized how many dreams I'm seeing when I view these projects, how many hopes and aspirations. I also realize I have no interest giving my money just to support dreams of others. Aspirations are important, but that's not enough for me to throw $$$ to see if you can make it stick. That said, this is becoming one of my favorite threads. It's almost worth $1 just to read any backers-only updates that might get posted. I've heard rumors of people kicking in their own money as a way of not "losing" pledged money by missing their goal. I'd guess priming the pump also happens. Strictly speaking both of those are against the Kickstarter rules; I'm sure people do it, and I don't know whether anyone's been caught/publicly caught yet. plus your voice heard. let's make this game together and better. make a fancy story of yours. if your story has been chosen as one of our game scene, your name will be credited in our game design session. It definitely look good on your resume. Maybe I should go for this. I know that I'm always being turned down for jobs because I didn't record a fancy story that became a scene in a game about a supermodel killing crazy animals. at this level, you will always be my best friend. On the other hand, it only takes $10K to buy this guy's eternal friendship! What a deal! I believe you are familiar with the girl in the picture. Shikhee from Android Lust just launched a Kickstarter to help fund her latest album. Android Lust is an electro-industrial band. I suppose that's the proper term. Anyway, for her last album she had members of her live band write with her for the first time and I loooooved the more organic sound. 1st track off the last album. Not for everyone, but I dig her music. Watch using ereader tech and syncs with iOS and android devices. Another device that helps you achieve lucid dreaming.